The Kinetic Amethyst looks to fill a gap in the Track lineup where you need a cleaner look. It’s clean for sure. Not as snappy as we thought it would be but has potential. 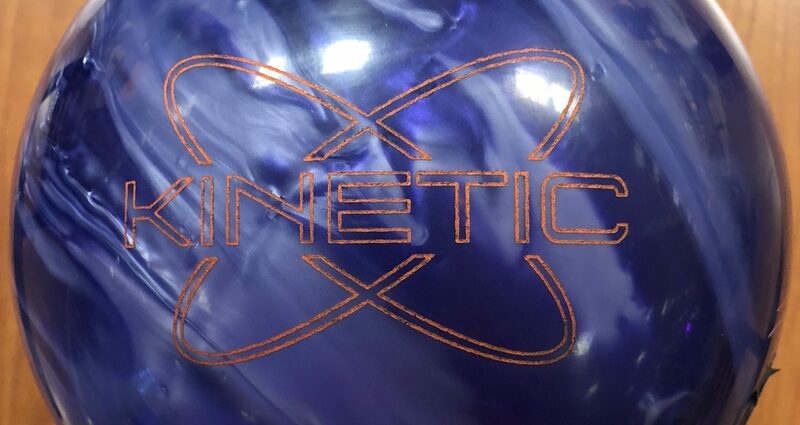 Buy the Track Kinetic Amethyst at PerfactAimBowling.com. 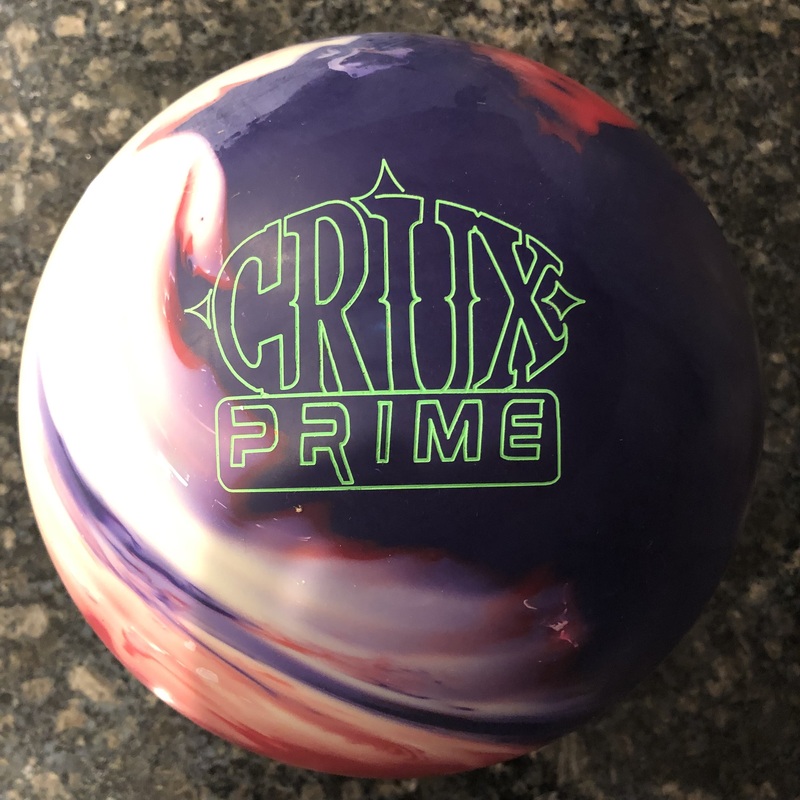 The Kinetic Amethyst is a mid-priced ball. It seems to have a bit of a defined slot of usability. Still gets decent marks for value. The Track Kinetic Amethyst uses the Modified Kinetic core wrapped in the QR-6 Pearl coverstock. The Modified Kinetic Core is clearly a stalwart at this point for Track. It seems every brand has found at least one winner that can be reused over and over again. 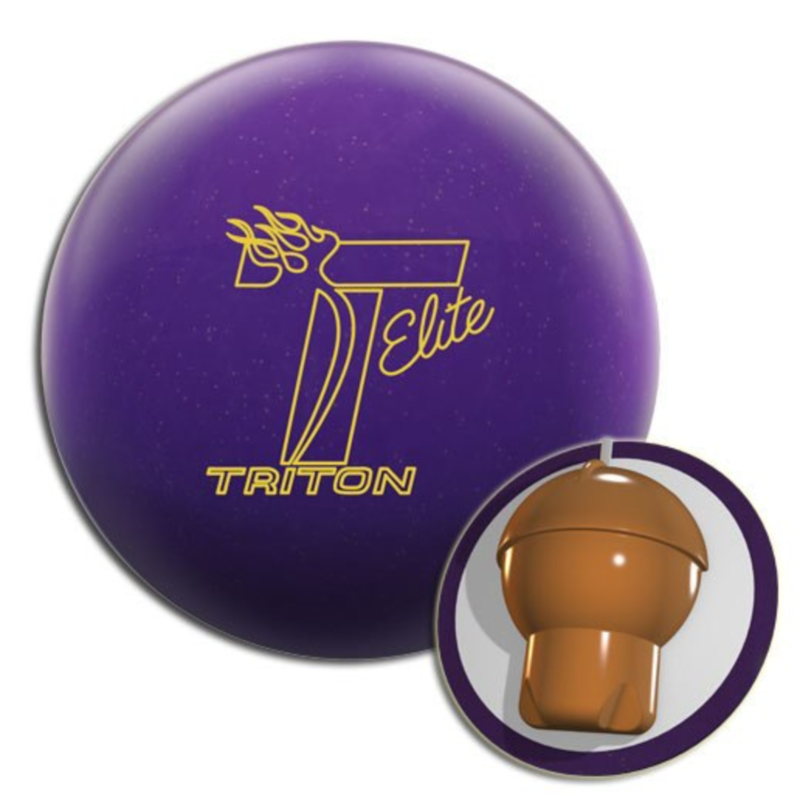 In this case, they added a clean pearl coverstock to give it more length and make it a stepdown ball. In theory you can have an arsenal of all Kinetic balls and be totally fine on a house shot. When I first saw this ball, it kind of looked a bit like a skid/flip formula. In practice for us, it is definitely clean but not super snappy. It’s like Track put in a “thin” type coverstock on this ball. What I mean is one that gets length and is very quick to dry which shrinks the hook phase of the skid/hook/roll shape of a ball. That it does but the core is not quite a “thin” core. Meaning it’s not a loping core which typically compliments the thin coverstock. That takes it up a notch from the low end balls in terms of ball reaction. It seems a bit of a fight between the core and cover, one which the cover wins generally speaking. What does all of that mean? It means you won’t get huge skid/flip. You will get easy length. You will get good but smoother motion. 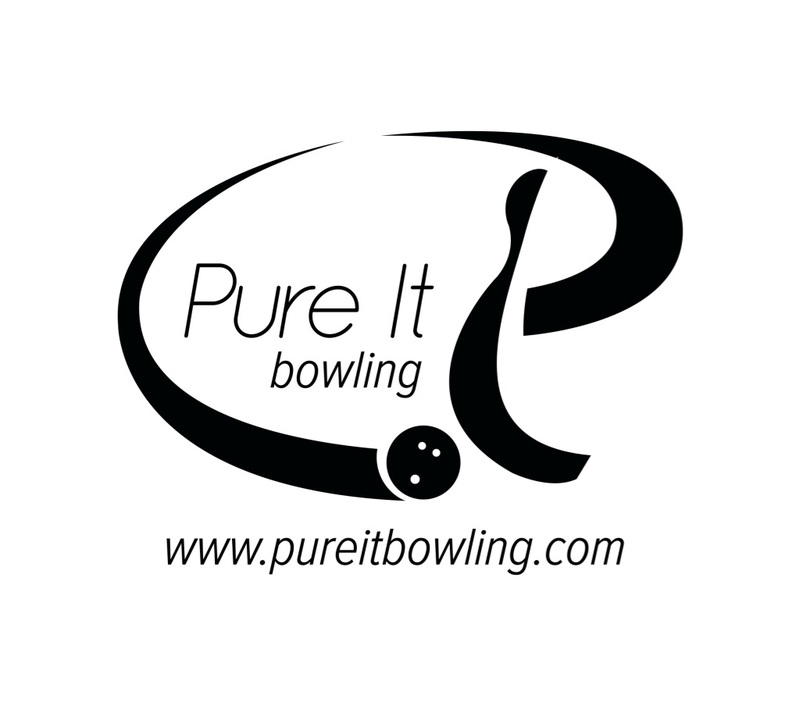 It’s just that you have to find the friction at the right length on the lane to get the ball to read. So if you find friction too far downlane, the ball will be lazy making it back. If you find it too early, you may not hold pocket. On the fresh house shot, Justin has a great look with the Amethyst. His roll and style blends well with this piece. He generates natural length so the ball gradually reads the friction. He’s scored extremely well with this piece already, especially in houses that have down lane friction that adds drive which amplifies carry. What’s interesting is in theory you would think the Amethyst would work well on burn where you get a cleaner and snappier look. However, the ball went from looking fantastic to being over/under. Now it noses up in the friction that’s been created but when you move into the heavy house shot volume, it pukes. Hmmm… This somewhat boxes the ball in terms of condition specificity. 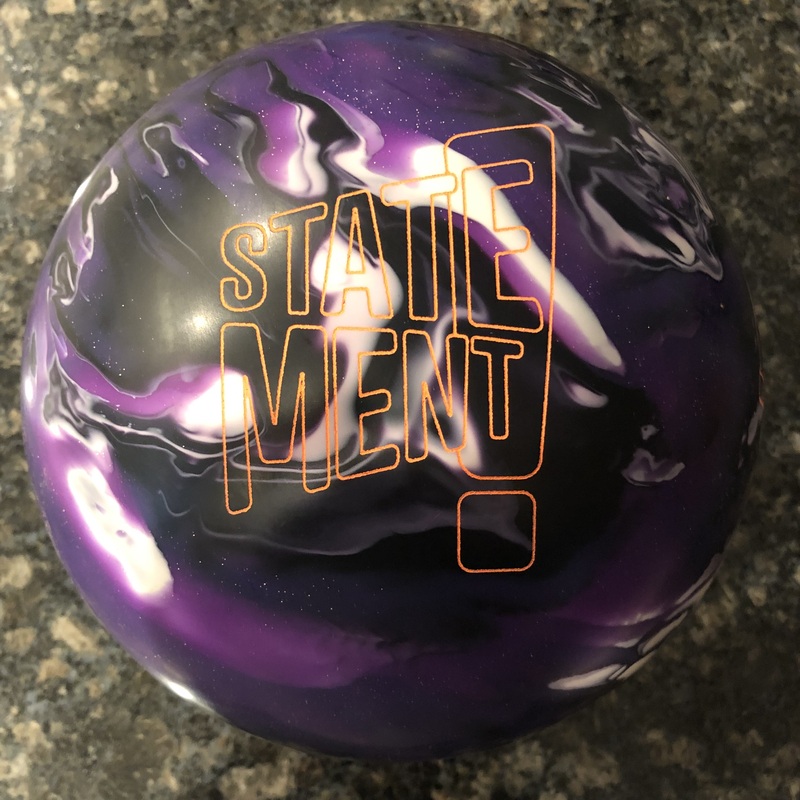 So while it may be a good option on medium or lower volumes while the shot is fresh, it may not be the ball you can drop to from another kinetic or more aggressive piece because of the reaction we described. I think this will be pattern specific but knowing how walled up house shots can be, I worry this will be the standard situation. Dan is our second tester. He’s got a decent rev rate but with much more tilt. So he generates good length in a different way than Justin. On the fresh it’s either there or not. It has been playable for Dan generally speaking but sometimes he sees the same thing in terms of over/under on fresh. If he parallels in, he gets less motion because the ball seems to skid too far. The ball is obviously clean and not super aggressive off the friction. You can see the ball is close all the time but just seems to enter the pocket differently with each shot. The volume is a little much for this ball right now. So it seems the ball prefers a lower volume fresh shot. For second shift, Dan had a pretty good look. Again, he has to be careful of getting into the friction too early but he got good bounce off the dry. It was probably a better look for Dan and his style on second shift than it was for Justin.